Get powerful web publishing and website management tools such as Microsoft SharePoint, IBM WebSphere and Globalscape Enhanced File Transfer. Build the infrastructure you need to take your website or in-house applications to the next level with tools like Microsoft Azure, IBM WebSphere and more. Design a better user experience with forms management tools and design software from leading brands such as Adobe, Microsoft and IDM. Not sure what publishing license you need? Desktop/Web Publishing Software. Orchestrated by CDW. Software is a vital component of industry success. Your employees and your products are only as good as the tools you are using in business. CDW offers the desktop and web publishing software to keep your business running efficiently, effectively and exceptionally. Web publishing software, such as Microsoft SharePoint or IBM WebSphere, allows you to effectively manage content and websites. With unorganized and unanalyzed data, your business can't grow and evolve. 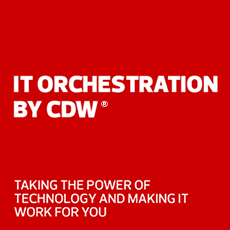 Allow CDW to help you with making sure your employees are equipped with the tools they need to perform effectively in the workplace. 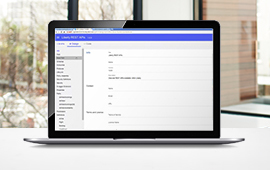 With form management and design software, you can create a better user experience, driving quality and customer satisfaction. Desktop publishing software from Adobe, Microsoft, and Corel allows for the creation of exceptional graphics, webpages and other media. Stagnant, old, poorly designed webpages, advertisements, and other graphics fail to hold an audience. Grow your business effectively by implementing software that keeps you on the cutting edge.